Take your style to new heights wearing these modern and chic Versus Versace® Printed Mules. Bow accent at the vamp with brand logo hardware. 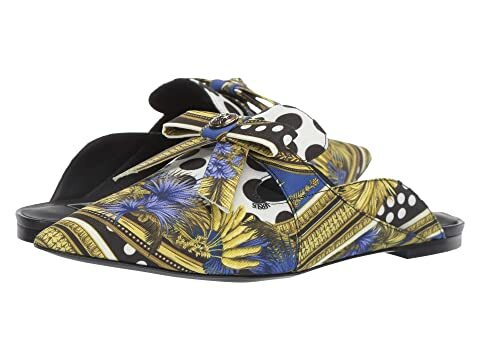 We can't currently find any similar items for the Printed Mule by Versus Versace. Sorry!